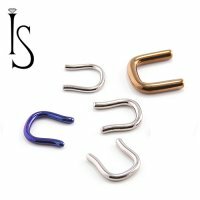 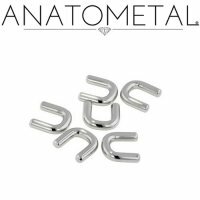 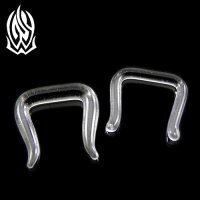 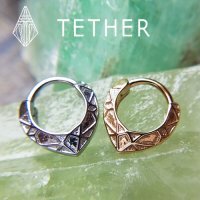 Cast in 316L Stainless Steel the Lattice clicker comes in two sizes: 5/16" and 3/8" to fit septum, daith and helix piercings. 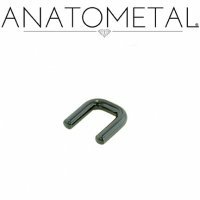 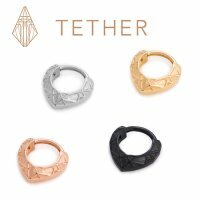 The Lattice clicker is available in "Naked" high polish Stainless Steel, Obsidian (black PVD-coated stainless steel) and Yellow or Rose Gold Ion plated Stainless Steel. 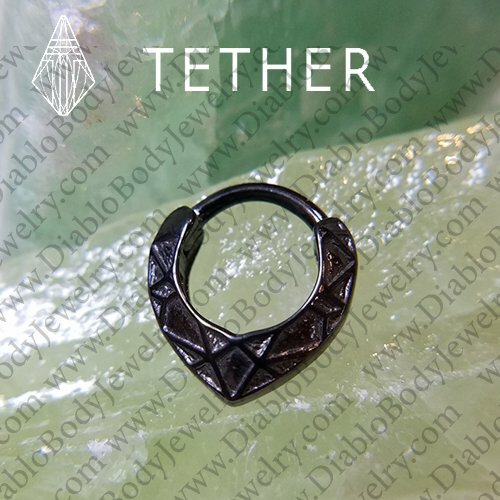 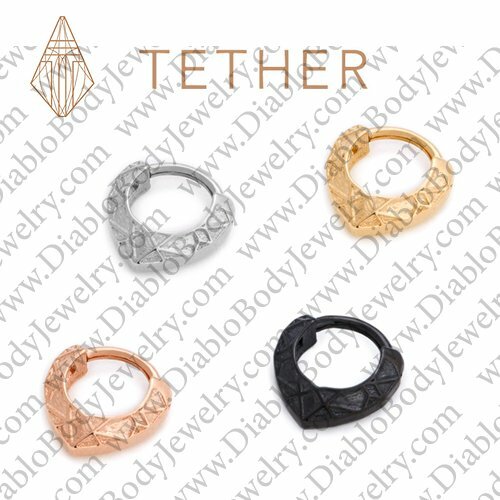 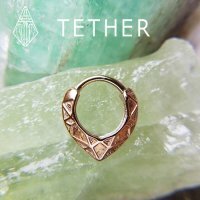 All Tether jewelry is hand polished to a mirror finish.